Anyone who loves this shampoo will be grateful of the mega cheap price. 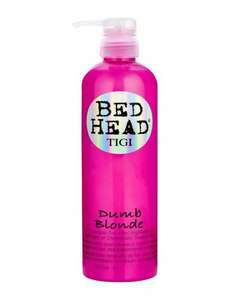 Other bed head shampoos were available too but I found this was the cheapest! What size is the bottle? That's ridiculously cheap!!! My missus use that and pays lots more.. They have huge ones at B&m! Are they doing the conditioner too? Deal posting newbie! This is Missdee87 first deal post. Help out by leaving a posting tip or just to show your appreciation for their contribution.